A non-profit museum located in Bedford, PA, we are the first independent, year-round institution devoted to American woven coverlets. We offer changing exhibitions of historic textiles and textile equipment, as well as classes and workshop programs in textile arts. Bockens Garner with quality and tradition of yarns for weaving and lace making. A wide range of yarns of the highest quality you will find the Holma-Helsinglands AB, a venerable company Forsa Hälsingland. 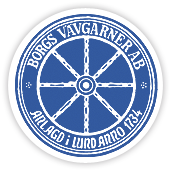 Borgs Vävgarner AB is a Yarn company located in the south of Sweden, in a village called Vittsjö. The company has a long history, it goes way back in time, as far as 1734 when it was placed in the university town Lund.